Is it worth it paying more for DDR4 vs DDR3 when playing GAMES or for PRODUCTIVITY? In other words, can I still buy & build a computer with the previous generation motherboards and RAM and CPU to SAVE MONEY while still having a VERY FAST computer for work and play? PS: make your screen wider to see the image popup better if you can't read the text. Is it WORTH IT to pay more for the latest computer DDR4 RAM? ANSWER: NO. There is barely any difference between DDR3 and DDR4. The only reason to pay more for RAM would be if you liked the color or look of it. 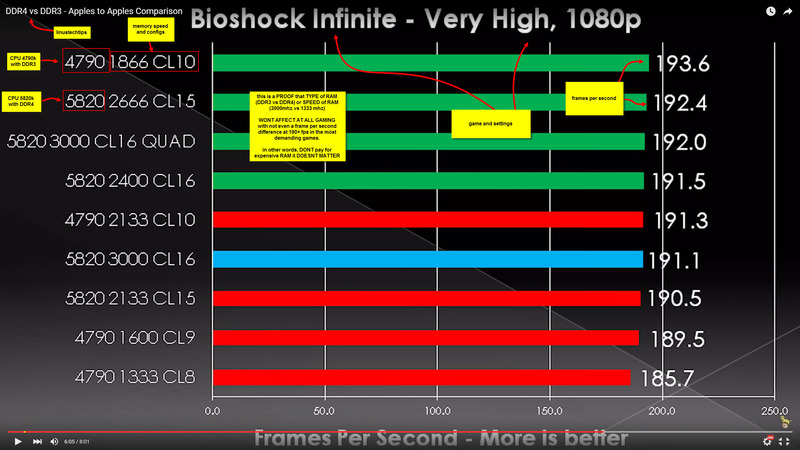 As Linus points out, when tested in very similar performing CPU and motherboards, but one having DDR3 and the other one having DDR4, there was barely a few frames per seconds difference between the most demanding games, something that would be impossible to notice in games. The results were similar in work / applications. So SAVE your dollars and stick with the best priced, most popular DDR3 modules and you're going to have a very fast PC without spending for things that don't matter! 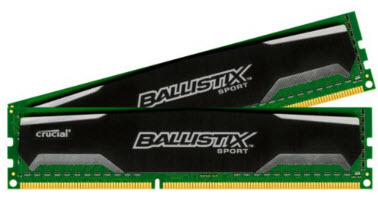 Get these great Crucial Ballistix Sport 16GB (8GBx2) RAM that are currently the lowest price, high quality, highly rated RAM on amazon and SAVE!